Audi will be unveiling a production-ready electric SUV this summer in Brussels. Yes, after months if not years of waiting, we will finally get to see what Audi has in mind when it’s talking about an electric-only sport utility vehicle. In the meantime, we get the 2018 Audi E-Tron Prototype unveiled at the Geneva Auto Show. Audi is somewhat tight-lipped about its new E-Tron SUV, but we do know it will feature 3 electric motors that deliver 320 kW of power, Quattro all-wheel drive, a 95 kWh battery pack, and will be able to DC fast-charge up to 150 kW. Range is estimated to be about 310 miles, or roughly 500 kilometers although that using European numbers. North American range numbers should be closer to 400 kilometers. 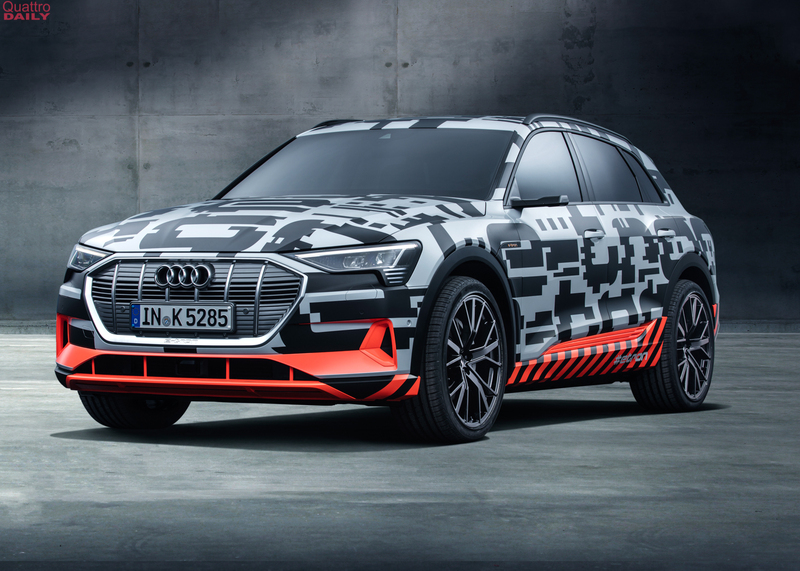 There will be 250 Audi E-Tron Prototypes running around in the months leading up to its unveiling. The idea here is to see how it behaves and make sure everything is on the up and up, while also promoting the new E-Tron to the public.